A late Lee Casciaro winner saw Lincoln won the Pepe Reyes Cup tonight after a 3-2 win after extra time against Europa FC. The game finished 2-2 after 90 minutes, after goals from Joseph Chipolina, and Casciaro’s first of the evening, were cancelled out by a Joselinho brace. The first half started with Lincoln on the attack with Lee Casciaro, Liam Walker and debutant Yeray Blasco combining well causing the Europa defenders a few problems. The Lincoln pressure looked to have paid off when Walker went down in the box but referee Yaro Borg was having none of it and pointed for a goal-kick. As the game went on Europa started to get themselves more involved, some great skill from Martinez saw him skip past Joseph Chipolina and Ryan Casciaro and whip in a cross which was cleared by Nico Chietino. Raul Navas picked out Walker with a great long ball, Walker turned and sent George Cabrera through on goal but Europa keeper Javi Munoz just managed to beat him to the ball and cleared. Lincoln broke the deadlock midway through the half, a corner from Walker was whipped in and met by the head of Chipolina who headed the ball past Munoz. Europa players showed their discontentment as they felt their keeper Munoz was fouled in the build-up but Borg didn’t change his decision. Just before half-time Lincoln nearly made it 2-0, a cross from Walker was met by the head of Cabrera whose effort went just over the bar. Minutes after the referee blew for half-time with Lincoln leading 1-0. The second half started with Europa on the attack, an odd mistake from Chipolina saw Javi Martinez run through on goal, his shot was excellently saved by Raul Navas. Europa soon got the goal their second half play had merited, as a cross found Joselinho who raised above his marker and headed it past Navas. A few minutes after equalising Lincoln got themselves back in-front, a cross found Casciaro who excellently slotted his effort past Munoz. Lincoln continued to pressure and nearly made it 3-1, Walker’s spectacular acrobatics produced a great low save from Munoz. Lincoln continued to dominate and produced some good chances between Chipolina, Casciaro & Yeray but none could find a way past Munoz in the Europa goal. With less than ten minutes remaining Europa got their equaliser. A cross was met at the back post by Joselinho who got his second of the game. With the game locked at 2-2, Yaro blew for full-time and the game went to extra-time. The first half of extra time saw Europa in total control, Navas produced a great save to keep out a free-kick, this was followed by Antonio Trujillo’s curled effort bringing out another save from Navas. 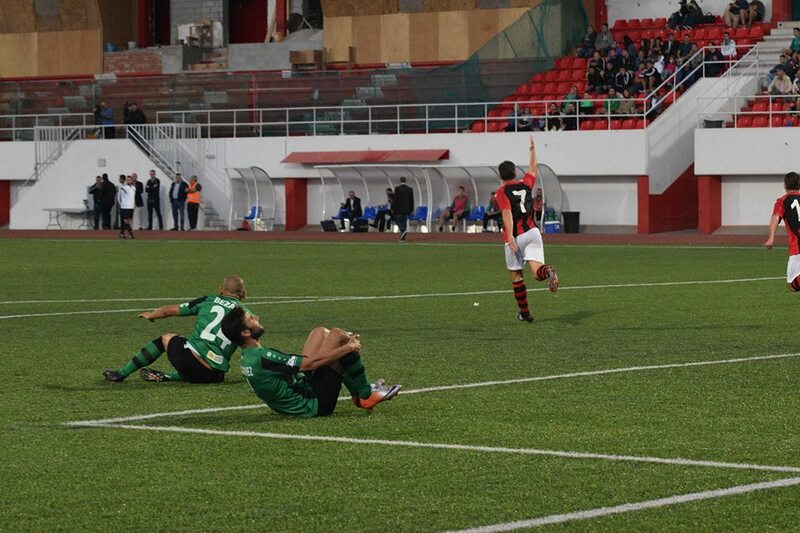 Just before half-time Casciaro saw his headed effort well saved by Munoz. The second half of extra-time was a more even encounter, as both teams looked deadly on the attack, but neither could create any clear-cut chances. Midway through the half Europa failed to clear a cross, the ball fell to Casciaro whose quick turn and shot was just out of the reach of Munoz and the ball rolled in. With Europa looking for that equaliser, a counter-attack from Lincoln nearly made it 4-2 but Abayian’s effort went wide. The referee blew the whistle shortly after and Lincoln were crowned champions of the Pepe Reyes Cup. 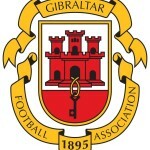 This entry was posted in Europa FC, Football, Lincoln Red Imps FC, Men and tagged Europa FC, Football, Gibraltar, Lincoln Red Imps, Pepe Reyes Cup. Bookmark the permalink.